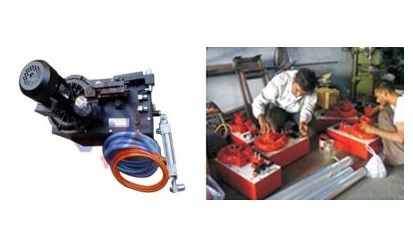 Repairing of Hydro Pneumatic Web Aligner Power Pack Unit. We Repair and Service all types of Indian & Imported Web Guiding System like E+L Web Guiding System, BST Web Guiding System, Chinese Web Aligner Unit, etc. All Indian & Imported Hydro Pneumatic Web Aligner Power Pack Unit can be repaired by us by replacement of Old Parts with our Brand New Parts in our Factory based in Ahmedabad, Gujarat, India. 5 to 28 mbar, infinitely adj.